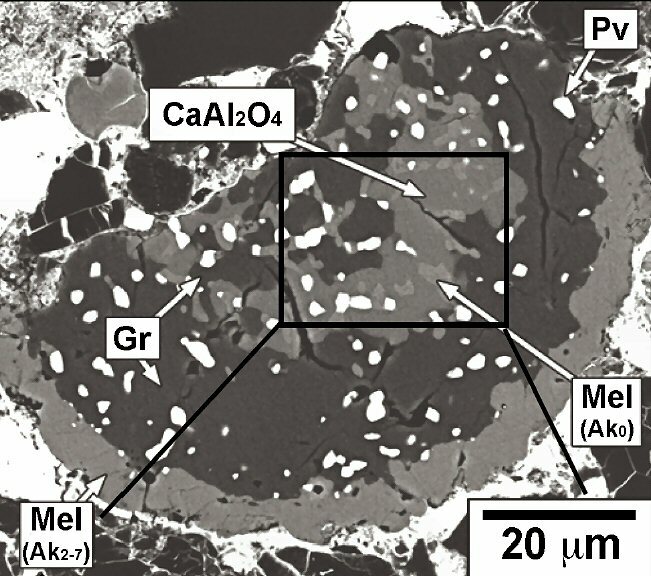 Comments: Inclusion consisting mainly of grossite (Gr) intergrown with perovskite (Pv) and melilite (Mel) that is pure gehlenite (Ak0) with dmitryivanovite (CaAl2O4). (AmMin, v94:746). Location: Northwest Africa 470 (NWA470) CH3 chondrite.